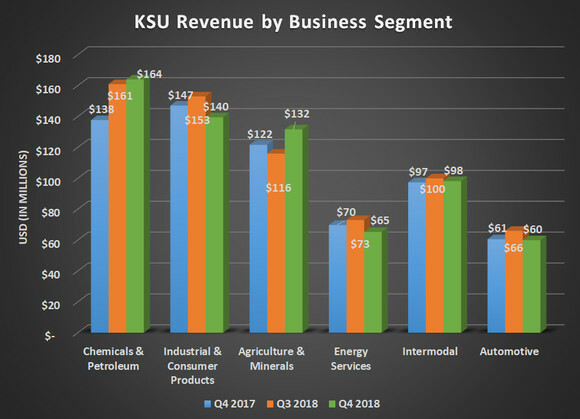 It was an up and down 2018 for Kansas City Southern (NYSE: KSU). Its business is more affected by U.S.-Mexico cross-border traffic than any other publicly traded North American railroad, so the renegotiation of NAFTA and other import tariff talk weighed heavily on the stock. On top of that, the company ran into several congestion issues at some of its Mexican terminals that were a major drag on earnings in the first half of the year. That was the past, though, and Kansas City Southern is looking to put those issues behind it with a plan to significantly improve margins by adopting precision scheduled railroading techniques like so many others in this industry. Will these efforts be enough to make Kansas City Southern a buy in 2019? Let's take a look at the company's most recent earnings results and management's upcoming plans to find out. DATA SOURCE: KANSAS CITY SOUTHERN EARNINGS RELEASE. EPS = EARNINGS PER SHARE. The thing that jumps out in these results is last year's earnings-per-share result. That incredible result was from a one-time gain associated with the changes to the U.S. tax code at the beginning of 2018 and drastically reduced the company's deferred tax liabilities. So don't look too much into that number. Looking up and down the income statement, it was a bit of a mixed bag. On the one hand, the company is still benefiting immensely from increased oil production in the U.S., as crude oil, refined products, and petrochemical revenues were up significantly. Those gains were offset by sharp declines in utility coal shipments and hauling fracking sand in its energy segment and parts of its industrial and consumer segment. Data source: Kansas City Southern. Chart by author. From an operations standpoint, the company reported an operating ratio of 64.3%, which is adjusted for some hurricane-related insurance claims. Its operating ratio was up slightly compared with this time last year because costs ticked up across the board, most notably for fuel. Fortunately, the company was able to raise prices enough to offset these costs and deliver better-than-expected earnings per share. PSR initiatives will allow us to reduce the overall locomotive fleet. While we have not identified a total number for reduction at this time as compared to the peak number of active locomotives in 2018, we have returned 25 leased units and are in process of storing an additional 20 units. In conjunction with rolling out this PSR plan, management expects it will be able to lower its operating ratio range to 60% to 61% by 2021. That still won't get the best marks in the industry, but it's a sharp improvement from the 68%-to-69% operating ratio it was posting five years ago. You can read a full transcript of Kansas City Southern's conference call here. Kansas City Southern has significantly lagged behind other North American railroads generating returns for investors. 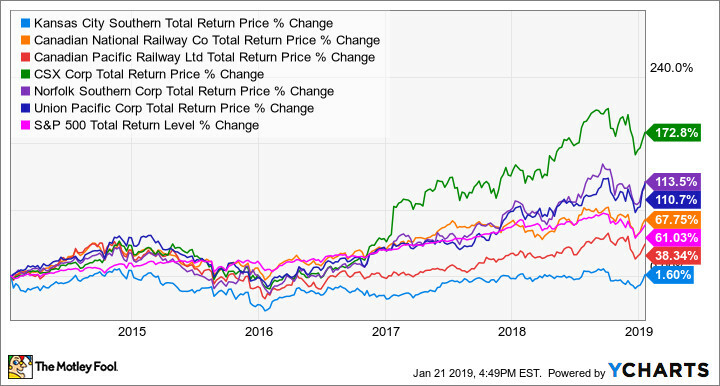 While most have either kept pace or significantly beat the S&P 500 on a total return basis over the past five years, Kansas City Southern has barely broken even. So it shouldn't be too surprising that the company's stock trades at a considerable discount on a price-to-book value from the rest of the industry. One of the reasons is that Kansas City Southern has struggled was its inability to control costs. Over the past few years, it has improved costs and brought down its operation ratio, but there is clearly still room for it to improve. KSU Total Return Price data by YCharts. 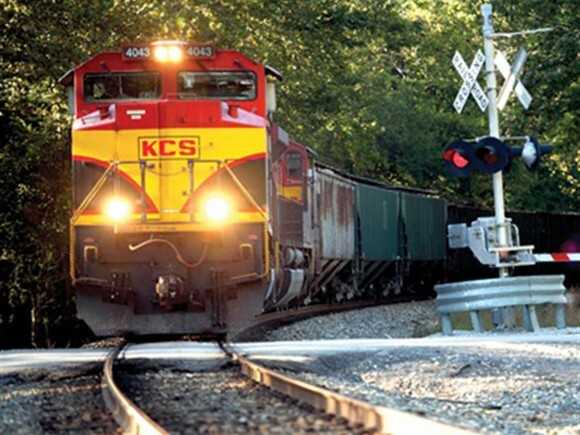 Implementing PSR could be the cure to what has ailed Kansas City Southern's stock for so long. If it can achieve its goal of getting its operating ratio down to 60% while still achieving mid-single-digit revenue growth, it would do wonders for its bottom line. 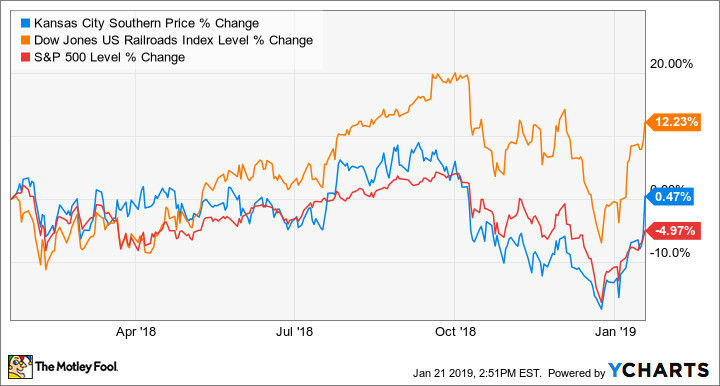 Kansas City Southern's stock is still one of the cheapest in the industry, and there is plenty of room for it to improve. That potential should put this stock on people's radar, but it's probably best to first wait and see how much progress it can make on its operating costs in 2019. Tyler Crowe owns shares of Canadian National Railway. The Motley Fool owns shares of and recommends Canadian National Railway. 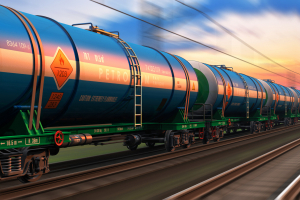 The Motley Fool recommends Union Pacific. The Motley Fool has a disclosure policy.